Managing a storage system has become a costly and complicated task. The direct labor cost associated with its management is increasing. In addition, organizations incur hidden indirect costs due to slow responsiveness, ineffective utilization, and inflexibility. 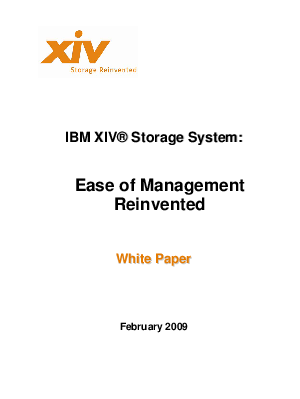 This paper discusses how the IBM XIV Storage System's revolutionary built-in virtualization architecture provides a way to drastically reduce the costs of managing storage systems.